So I have recently got my bridesmaids dresses and although I didn't actually go for this dress it is so amazing I had to share it with you guys! The Twist and Wrap dress. Also know as the 15 way dress! This dress comes in a variety of colours and you can actually get it from quite a few places now, the one I am focussing on is the dress I looked into getting. So these are the 5 colours they have in their range; this image doesn't actually give the colours justice so please have a look on the website for a better look (link will be at the bottom). And these are the 15 different ways you can wear the dress! I think this dress is a great idea if you want all your bridesmaids in the same colour but not the same style. Its also great if you have very different ages bridesmaids as there are a couple of ways to add a short sleeve to cover the shoulder and its also great if your girls are different sizes because they can all pick a style and wear it comfortably. They also have a short option which is cheaper which gives even more variety in styles! Now the price is what I think is the amazing part as the short dress comes in at £70.00 and the longer one £80.00. This is also the full prices and if you go on the website at the right time of year they have these dresses on promotion! These dresses are from www.bhs.co.uk and are under the wedding section. A sneak peak into my Christmas scrapbook. Its December!! 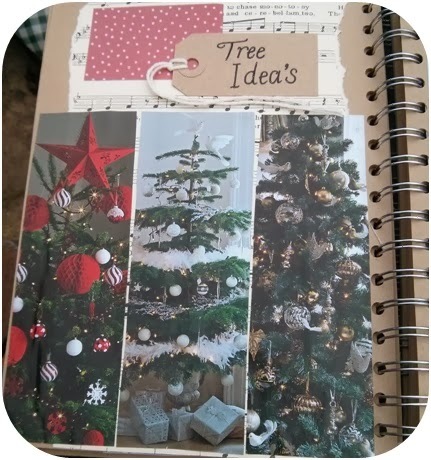 And that means its time for my first Christmas post of the year :D and for this post I'm going to give you a little peak into my Xmas scrapbook! So I just bought this A5 brown scrapbook from Paperchase for about £8 or £9, its great because the pages are brown so you don't have to start with a plain white page. 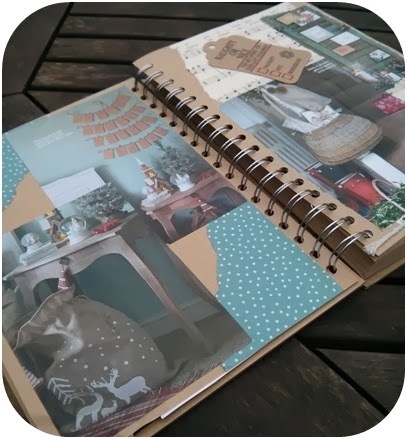 Something I didn't include a picture of is my recipe pages, I simply made them by making pockets on the pages so I can cut out recipes or jot them down through the year and just pop them in. I absolutely love cooking and baking and Christmas is the best excuse to try something new! So that's it, my Christmas scrapbook! I hope you enjoyed taking a peak in mine and I would love to hear if any of you do something similar! What type of wedding do I want? Now I know there are tons of different types of places you can get married but for the purpose of this post I have just chosen the four or five types of places I looked into for mine and my partners wedding. So the first place we looked at was a church. This came naturally to me as I was christened as a child, went to a Christian based primary school and have looked at the beautiful photos of my parents church wedding. But once we had looked into this option we decided against it as I hadn't really lead a religious life since I left school and neither had my other half. Getting married in a church can make for a really lovely ceremony and a beautiful backdrop for some snap shots! Depending on the size of the church it can be great for both small, intimate weddings or very large dues! Now here are some beautiful places to get married! A castle or big manor house hold a beautiful scene for your wedding and I must admit some of the most wonderful wedding photo's I have seen are of newly weds in front of a magical place like these. One thing to check if you have a place like this in mind is that you can get legally married there. Obviously venues like this need licences to hold a legal marriage ceremony although saying this, I have known people who have their hearts set on their dream venue to have their ceremony there and then either a couple of days before or after to sign the legal document and vows in a registered place. I have got to say choosing our wedding venue was the most exciting part of the plans! Because once you have chosen that everything else sort of fits in around it. We have chosen to hold our wedding, wedding breakfast and reception all in the same place so once our guests have arrived in the morning they don't need to go anywhere apart from the bar in the next room ;) this has also made planning the wedding so much easier, we have a lovely wedding co-ordinator at our venue to help with things that end and now we have sorted out our venue it feels like we are nearly done. Well it feels that way but believe me there is so much more to do! Getting married in the winter is one of the most beautiful times of year to get married. (As long as the weather plays ball) Imagine the photo's of you and your partner with a snowy backdrop and your white dress. You can also really use the cold weather to your advantage and choose to have yourself and your bridesmaids in fur boleros. You may also want to dress your tables to match the season using pine cones or pieces of twig to decorate the venue. (fairy lights wrapped in and around a bunch of twigs in a vase is beautiful). Another fun idea is to play around with food decoration, as you can see above these miniature snowballs look adorable made easily by sprinkling flaked coconut or almonds onto chocolate truffles of mini cupcakes. Flowers are another beautiful thing about the winter you can use simple white bouquets and add some subtle colour to give them the wow factor. I have tried to show you the idea with some pictures below. So that is it for my 'what time of year should I get married?' mini series, stay tuned for some more wedding posts and also look out for my Christmas posts as its getting to that time of year :) I am aiming to upload one Christmas post every week in December to keep your eyes pealed! Spring, Summer, Autumn or Winter that is the question. Today I am going to look into getting married in the Autumn. 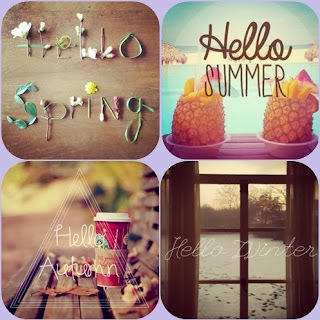 I have previously written about Spring and Summer so please go check them out if you haven't already. Autumn is the season for vibrant, warming colours like burnt orange, plum purples or even emerald greens. You can really have some fun, playing around with different ideas such as pumpkins incorporated in the centrepieces or using orange and red leaves in you bouquets. And don't be freaked out when I say use pumpkins, there are so many beautiful ways to decorate them rather than the tradition carving. Below are some different ways to help inspire you. I hope this helps and gives you lots of little ideas. My best friend has recently decided to plan their wedding in the Autumn and looking through her plans has really opened my eyes as to how much you can actually do with an Autumn wedding and how many beautiful colour schemes you have to choose from. Getting married in the summer. With summer comes hot weather. You can either have beautiful vibrant colours or choose a more subtle pastel colour pallet. What ever colour scheme you choose, in the summer its bound to look beautiful. You can choose chiffon bridesmaids dresses that float in the warm breeze and what about putting your men in grey rather than black to suit the rest of the colour scheme? One little tip; be sure to wear sunscreen and foundation with an spf in it, the last thing you want on a hot day is to have a burnt, red face in all your wedding photographs. Here are some flower ideas for a summer wedding. Thank you for reading, my next post will be about Autumn weddings so keep your eyes pealed! Spring, Summer, Autumn or Winter? That is the question. So in this post I shall give you some things to think about when choosing what season to get married in. Getting married in the spring. Spring is a beautiful time of year to get married, with the trees in full blossom and buds starting to form from the newly green grass. Spring can help create a colourful backdrop to the perfect day, helping you to capture your moment in time. Just be careful if you are planning an outdoor wedding because at this time of year you can never rely on the Great British weather. Thank you for reading, I hope this gives you some nice ideas. Be sure to check out my next post where I will be focusing on Summer wedding ideas.